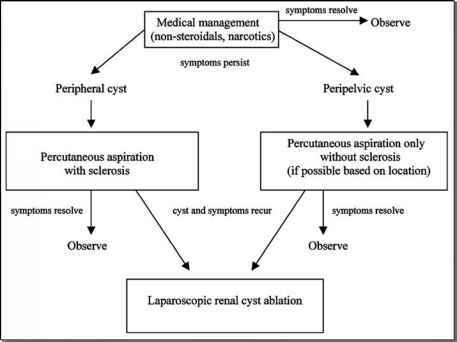 Historically, Jones and Politano initially reported the concept of renal parenchymal cooling using cold saline irrigation of the renal collecting system. However, due to limitations in technology at that time, a ureterotomy was required to gain access to the collecting system. More recently, Landman et al. (5) described renal cooling using ice cold saline solution for retrograde injection through a pre placed ureteral access sheath. They reported their technique in the porcine model and subsequently in one patient who underwent open radical nephrectomy for renal tumor. A 12/14 ureteral access sheath was advanced cystoscopically over an Amplatz superstiff guidewire up to the renal pelvis, under fluoroscopic guidance. A side adaptor was twisted into the distal end of the access sheath. A 7.1 French pigtail catheter was passed through the access sheath into the renal pelvis. The access sheath was then secured to the Foley catheter to prevent dislodgement during patient positioning. The kidney was approached and completely mobilized through a flank incision. The renal artery and the vein were individually dissected and then clamped. Ice cold (—1.7°C) 0.9% saline from a 3 L bag suspended 120 cm above the kidney was irrigated through the access sheath into the renal pelvis for 35 minutes. The efflux returning from the pigtail catheter in the pelvis was collected. The radical nephrectomy was then completed in standard fashion. The above technique resulted in the circulation of 85mL/min of ice-cold saline through the collecting system. The renal cortical and medullary temperatures were measured with thermocouples to be 24°C and 21°C, respectively. The patient's core temperature remained at 37°C throughout the procedure. In this one patient who underwent radical nephrectomy, the cold ischemia was maintained for 35 minutes. As this patient underwent a radical nephrectomy, no follow-up on renal function was available. A potential concern with this technique is that during laparoscopic partial nephrectomy for an infiltrating tumor, entry into the collecting system occurs early within one to two minutes of initiating resection. This would lead to leakage of the perfusate with potential compromise of renal cooling. In both their studies, Landman et al. (5) did not perform a partial nephrectomy to evaluate the effect of leakage of the perfusate. Thus additional studies are required to evaluate this technique with radiological follow up of the renal remnant to evaluate residual function.